I have devoted a significant portion of my professional life to helping other educators hone their craft. Continuous self-evaluation and growth are very important components of my own practice as well. I consider myself to truly be a lifelong learner. I hold a M.Ed. degree as well as certifications in Special Education, Criminology and Corrections, ESL, and Conflict Resolution (communication, mediation, negotiation.) I seek opportunities to share what I have learned with others. In my own classroom, my curriculum supports strategies for teaching metacognition. Students learn to self-advocate, have a voice and use higher order thinking skills to power through lives obstacles. As a highly skilled provider of program development and coordination, my particular expertise is with “at-risk” populations, grant proposal writing and program management. If we teach that education is obtaining knowledge to score high on standardized tests, perhaps our students will fail the greatest test of all- life itself. We must teach our students to be critical thinkers, to ask questions, to take risks for change. We must teach, education is the foundation for living an empowered life. Leigh M. VandenAkker is Utah’s 2012 Teacher of The Year and winner of Utah’s 2011 Golden Apple Award. As co-author of Techniques for Tough Times TM, Leigh has trained teachers nationwide, providing insight and support by educating teachers in classroom management. A 2012 Pearson Global Scholar, VandenAkker will be visiting the country of Brazil in order to examine its education system. Recognized as a consummate professional who cares deeply for students, she is a full-time public high school teacher. 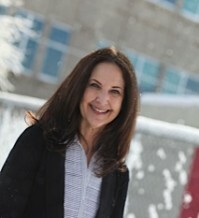 VandenAkker is presently teaching at East High School in Salt Lake City School District. She is currently serving on the UEA Teachers Excellence Task Force.